One of the great joys I have is hearing stories of life transformation from people inside Iran who watch our programming. It is such a tangible way for me and my staff to see the Lord’s work through this ministry. Below, I have copied the testimony from a viewer who wrote an email to our Counseling Center. I hope you will find it as encouraging as I do. As always, all names and images have been changed in order to protect the identities of those involved. I do not have enough words to thank dear Pastor Hormoz and the friends in Shabakeh 7 (our satellite network in Iran) who have freed me from total ignorance. 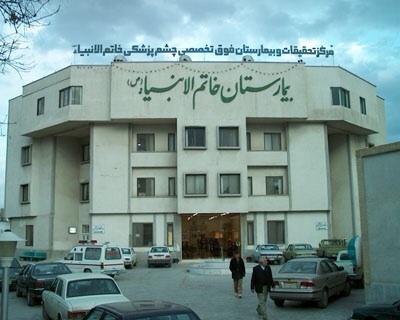 I am an anesthesiologist specialist in Iran. In my heart, I believe in Jesus Christ, yet of course I have much to learn as a disciple. I always thought that being a physician made me the most needed person in the lives of the people around me. However, watching your program one day, I learned about the Great Physician, Jesus Christ. What struck me most, was his humility, which I clearly did not have. I was ashamed of myself. Compared to Christ, I am nothing. My qualifications as a physician mean nothing without Him. I thank you for making that clear to me. Today I am not a physician, but a servant. ← Iran’s Nuclear Agreement: A Good Deal or a Bad Deal? I’ve been a nurse in the US for over 35 years, and have come to the conclusion that I’ve never been as good a servant as when my retirement allowed me to focus on the spiritual needs of others more than I focused on their physical needs.